The operating room is one place in a hospital where things are expected to run like clockwork – it is imperative that surgical procedures start on time. 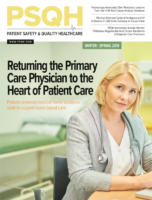 When delays occur, the impact can be significant: staff and equipment are underutilized, surgeons become frustrated, patients grow (more) anxious and optimum outcomes may be placed at risk, particularly if the prior administration of medications or antibiotics had been timed to the projected start of a procedure. It is thus alarming that a recent study in JAMA Surgery found that 10 percent of surgical procedures were delayed due to a missing piece of paper – the consent form. Researchers at the Johns Hopkins University School of Medicine found that consent forms were missing for 66% of surgical patients, which resulted in one out of ten cases being delayed. As a consequence, 43% obtain consent from a patient for whom the form was missing. Also of concern, only 47% of those residents reported that they felt comfortable obtaining consent for major procedures. The study also found that on average, residents spent less time obtaining consent from patients than did attending physicians and that disparity became more pronounced when residents obtained a patient’s consent at the last minute. The problem of lost or misplaced consents is both ubiquitous and extremely costly. It has been estimated that operating room delays resulting from these missing documents cost the average hospital $580,000 each year. Fortunately, the application of technology can virtually eliminate this problem. Ten years ago the Department of Veterans Affairs (VA) implemented an automated informed consent software program that stores signed consent forms directly to the electronic health record – the VA reports that misplaced or lost consent forms have significantly decreased following their adoption of this electronic system. Inefficiency is only one consequence of a missing consent form. The Hopkins researchers noted that obtaining consent in the hurried environment of the preoperative area may lead to miscommunication between “expected and achieved results.” That miscommunication, in turn, might increase the litigation risk for the organization. In fact, other research has found that obtaining consent in the preoperative holding area does result in a marked increase in claims payments in the event of medical liability litigation. As hospitals focus on both maximizing patient satisfaction and optimizing efficiency, improving a process that risks increasing anxiety in a significant number of patients while also increasing the cost of up to 10% of scheduled procedures would appear to be “low-hanging fruit.” Other healthcare networks that employ residents to assist with obtaining patient consent have embraced technology to standardize that critical process. A prominent neurosurgeon at LAC+USC Medical Center pioneered this automated approach that is now employed by all hospitals with the Los Angeles County Department of Health Services (LACDHS). LACDHS uses a computerized tool to electronically generate detailed procedure-specific consent documents allowing more time for patient discussion and potentially enhancing safety by reducing the number of steps during which mistakes could occur. Solving “the case of the missing form” may simply require the thoughtful application of technology to a ubiquitous process. As other experts have observed, employing technology-based solutions may ultimately yield improved patient understanding and lower costs. Tim Kelly helps develop patient engagement solutions for Standard Register Healthcare and is an active member of HIMSS, ASHRM, and ACRP. Previously he worked for Dialog Medical and was active in the area of shared decision-making research. Garonzik-Wang JM, Brat G, Salazar JH, MD, Dhanasopon A, Lin A, et al. Missing Consent Forms in the Preoperative Area: A Single-Center Assessment of the Scope of the Problem and Its Downstream Effects. JAMA Surgery 2013; DOI:10.1001/jamasurg.2013.354. Baum N. A new look at informed consent. Healthcare Financial Management 2006;60(2):106-112. Landro L. Consent forms that patients can understand. The Wall Street Journal February 6, 2008;251(30):D1, D3. Bhattacharyya T, Yeon H, Harris MB. The medical-legal aspects of informed consent in orthopaedic surgery.The Journal of Bone & Joint Surgery 2005;87:2395-2400. McKenzie K, Karnstedt. Automated informed consent – patients and institutions benefit alike. Patient Safety & Quality Healthcare 2010;7(5):38-44. Schenker Y, Meisel A. Informed consent in clinical care – practical considerations in the effort to achieve ethical goals. JAMA 2011;305(11):1130-31.